Browns executive vice president Sashi Brown and vice president Andrew Berry were in attendance at Wednesday’s Houston Bowl to scout Texas A&M defensive end Myles Garrett, tweets ESPN’s Adam Schefter. This isn’t the first connection between Cleveland and Garrett, who could go No. 1 overall in next spring’s draft. The 1-14 Browns will lock up that selection with a loss to the Steelers on Sunday. Impending free agent cornerback Prince Amukamara would like to re-sign with the Jaguars on a multiyear deal, but he admitted Thursday that the team has bigger issues on its plate at the moment. “Right now the front office priority is probably finding a head coach and stuff like that, but I would hope to be a priority to them [after the hire],” he told Mike DiRocco of ESPN.com. Amukamara, who inked a one-year deal with the Jags last March, has appeared in 13 games and made 11 starts – his highest totals in those categories since 2012. Despite being in danger of posting his first interception-less season, the 27-year-old ranks a respectable 51st among 119 corners at Pro Football Focus. “I think it was huge to just be able to show that I am durable and I can play this game if I’m healthy,” added the former Giant. Like Amukamara, Bengals corner Dre Kirkpatrick doesn’t want to leave his current setting. “I love this organization,” the soon-to-be free agent told Katherine Terrell of ESPN.com. Kirkpatrick, a 2012 first-round pick who’s currently in his fifth-year option season, is second among Bengals corners in snaps (906). He has also picked off exactly three passes for the third time in his career and is set for his second straight year with at least 14 starts. PFF isn’t overly bullish, however, as it ranks Kirkpatrick as this season’s 74th-best corner. The Colts worked out linebacker Dezman Moses and safety L.J. McCray on Thursday, per ESPN’s Adam Caplan (Twitter links). Moses is easily the more experienced of the pair, having appeared in 46 games to McCray’s 22, and has been available since the Chiefs cut him Oct. 7. McCray hasn’t caught on anywhere since the 49ers waived him Sept. 5. Lansanah, 31, had spent the last two seasons and change with Tampa Bay before spending a week with the Dolphins in August. Over the last two years, Lansanah appeared in every regular season game for the Bucs, making 22 total starts. In 2014, Lansanah recorded three interceptions, eight pass breakups, 1.5 sacks, and 81 total tackles. His production tailed off last season, though he still notched 47 tackles, one sack, and four pass breakups. Horton, Lotulelei, Moses, and Mulamba also have prior NFL experience, and Moses leads the pack, as he’s appeared in 45 games with the Packers and Chiefs (mostly on special teams duty). Horton, meanwhile, started 15 games for the Panthers as recently as 2014. The Chiefs have signed linebacker Sio Moore, as Adam Schefter of ESPN.com tweets. Moore was cut by the Colts earlier this week. Moore suffered a significant hamstring injury this summer which held him back in practice. He healed up from that injury, but he was unable to impress in the first month of this season with Indianapolis. He was cut on Tuesday after amassing 25 total tackles and five assisted tackles. 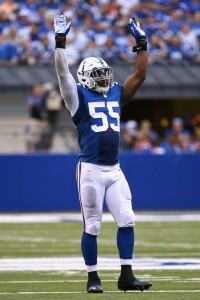 In two seasons with the Raiders and one season and change with the Colts, Moore has appeared in 42 games with 26 starts. He had 4.5 sacks as a rookie and 3.0 sacks in his sophomore year, but he has been unable to replicate those numbers in the past couple of years. To make room, KC cut linebacker Dezman Moses. The Packers have cut running back Jhurell Pressley, per a team announcement. Ryan Wood of the Green Bay Press-Gazette (on Twitter). There are indications Pressley that could return to the next next week, however, as Ryan Wood of the Green Bay Press-Gazette tweets. The Buccaneers have reached an injury settlement with running back Mike James, reports Greg Auman of the Tampa Bay Times (Twitter link). The Dolphins waived quarterback Brandon Doughty, as Armando Salguero of The Miami Herald tweets. The Chiefs re-signed outside linebacker Dezman Moses, as Terez A. Paylor of the Kansas City Star tweets. The Cardinals have waived/injured linebacker Louis Lamar, according to Mike Jurecki of FOX Sports 910 (via Twitter). The Seahawks have removed linebacker Eric Pinkins from their injured reserve list with an injury settlement, reports Bob Condotta of the Seattle Times (Twitter link). Pinkins, 25, appeared in six games for Seattle last season. The Seahawks have also made a swap on their practice squad, signing wide receiver Antwan Goodley and cutting offensive tackle Takoby Cofield, tweets Condotta. 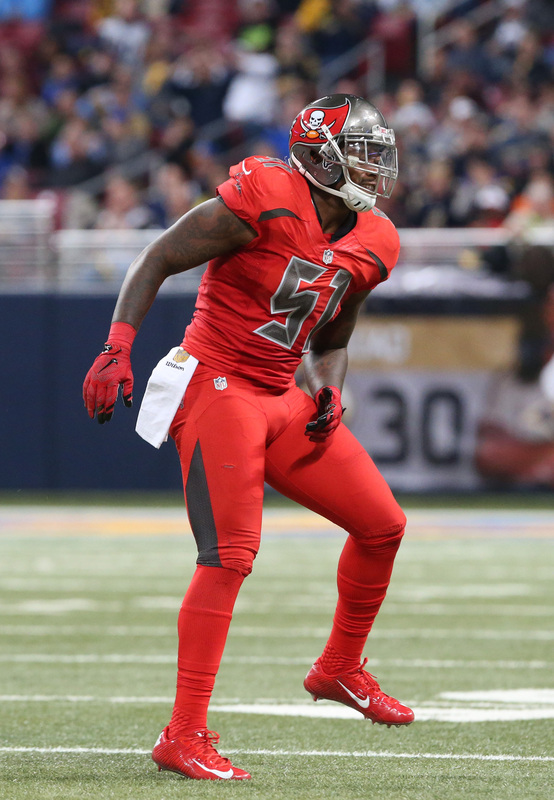 The Buccaneers have cut linebacker Micah Awe from their practice squad, reports Jenna Laine of ESPN.com. Awe’s removal opens a spot for fullback Dan Vitale, who was added to the taxi squad yesterday. The Raiders waived defensive end James Cowser off their IR list with an injury settlement, Adam Caplan of ESPN.com reports (on Twitter). The Buccaneers promoted linebacker Josh Keyes to their 53-man roster, Roy Cummings of FanRag Sports reports (on Twitter). Keyes played in seven games last season for the Bucs. To make room for Keyes, the Bucs waived tight end Alan Cross, per Cummings (Twitter link). Although he enjoyed a productive preseason, Dezman Moses saw the Chiefs cut him to make room for Eric Berry, Terez Paylor of the Kansas City Star reports (on Twitter). Moses spent the past three seasons with the Chiefs, serving as a backup outside linebacker and playing in 26 games for the franchise. Moses made four sacks for the Packers as a rookie but has been used mostly in a special teams capacity with the Chiefs. The Lions released linebacker Josh Bynes from their IR list, Tim Twentyman of DetroitLions.com tweets. The Colts are working on a new contract for future Hall-of-Fame kicker Adam Vinatieri, sources tell Ian Rapoport of NFL.com, who tweets that this was an “open secret” at the combine in Indianapolis. A report last month indicated that the team wanted to bring back Vinatieri, who expressed a desire to continue playing — perhaps for multiple years. As we wait to see if the Colts and Vinatieri can hammer something out within the next few days, let’s round up several more notes and rumors on free-agents-to-be…. The meeting at the combine between Antonio Gates and the Chargers went well, reaffirming the mutual interest between the two sides for a new deal, tweets Michael Gehlken of the San Diego Union-Tribune. According to Gehlken, it’s likely just a matter of time until the veteran tight end finalizes a new contract with the Chargers. The Chiefs have expressed interest in bringing back free agent linebacker Dezman Moses, according to Terez A. Paylor of the Kansas City Star. Moses is one of several Kansas City defensive players eligible for free agency, though he’ll probably come cheaper than most, since he’s primarily a special teams contributor. The Saints would like to re-sign UFA kicker Kai Forbath, a source tells Joel A. Erickson of The Advocate. If Forbath does sign a new deal with New Orleans, I imagine it would be a modest one that wouldn’t preclude the team from bringing in competition. Rams safety Rodney McLeod is one free agent who will be “in demand” next week, according to Dave Birkett of the Detroit Free Press, who tweets that plenty of NFL people like McLeod. The Chiefs’ offensive line depth took a hit today, as the team announced (via Twitter) it has placed veteran guard Paul Fanaika on the injured reserve list. To replace Fanaika on the roster, the club re-signed linebacker Dezman Moses. Fanaika, 29, emerged as a starter in Arizona in 2013, and ultimately started 30 games at right guard for the Cardinals over the last two seasons. After signing with the Chiefs back in March, Fanaika earned a spot on the 53-man roster as a reserve offensive lineman, and likely would’ve been relied upon at guard or tackle if he was needed. Instead, he’ll spend the year on injured reserve, or at least will remain on IR until he and Kansas City reach an injury settlement. The nature and severity of Fanaika’s injury isn’t yet known. As for Moses, he returns to the Chiefs after spending the 2014 season on injured reserve. He was a special teams contributor for the club in 2013, playing just 59 defensive snaps that year.